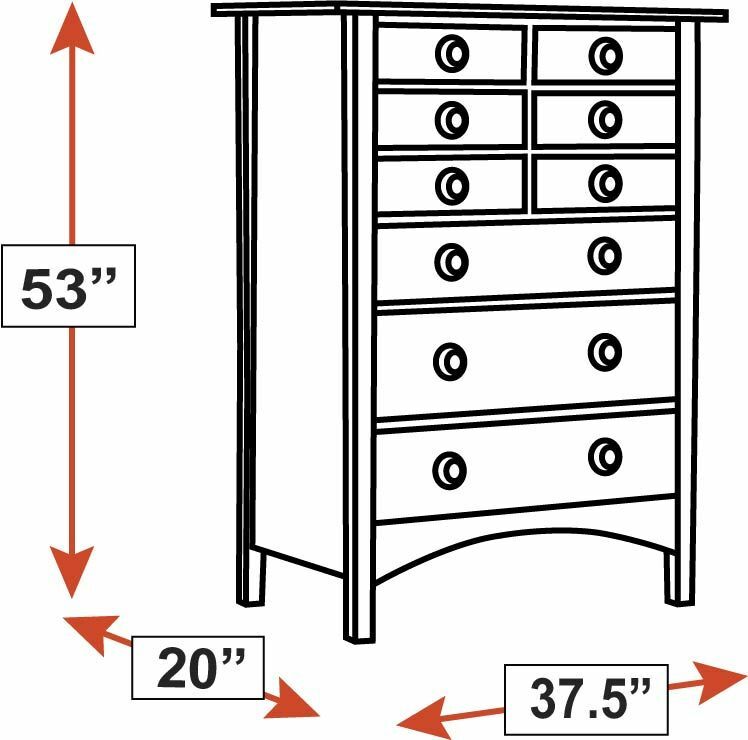 A cornerstone of a Mission bedroom, this commanding chest includes hand-fitted drawers, plus a jewelry tray in the top right drawer. 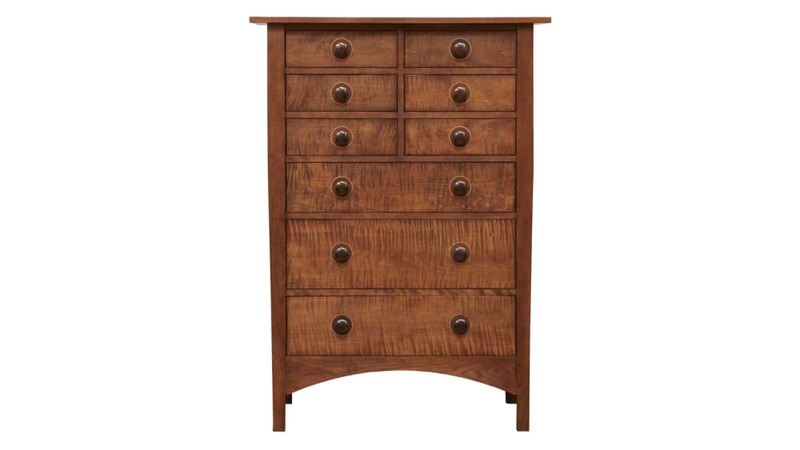 Part of Stickley's Harvey Ellis Bedroom Collection, this chest features a solid cherry case with walnut knobs, as well as copper inlay on curly maple drawers. 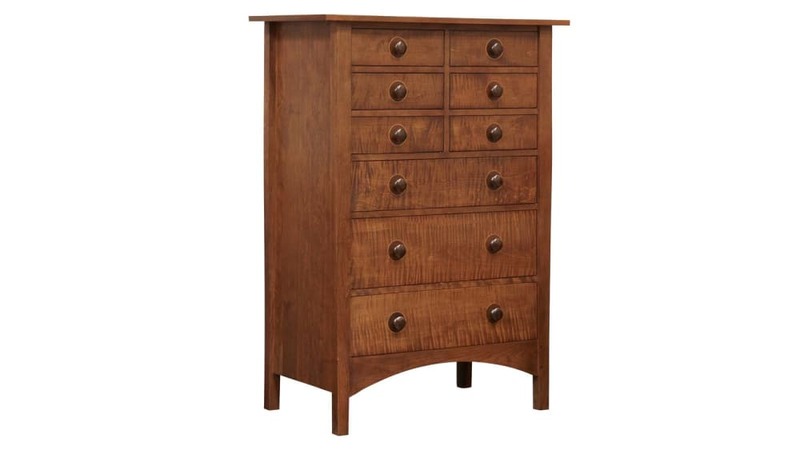 Built to a standard of quality that only Stickley is capable of, this is a treasure that your children can pass on to future generations.